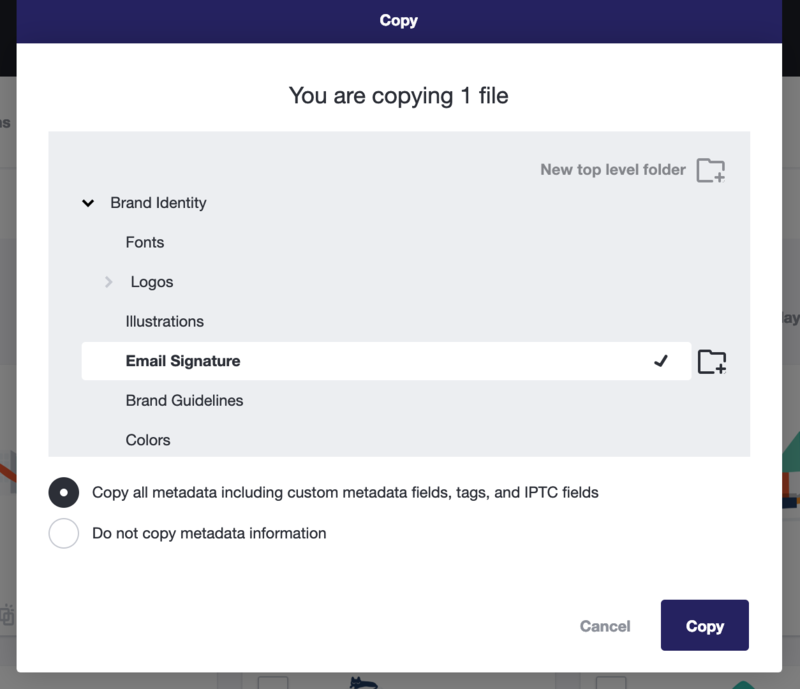 You can create a duplicate copy of a single file, or a selection of files in Image Relay. The "Copy" feature works like a true copy (or duplicate) feature that you would expect on your computer. The Copy will be a completely separate file in every way. 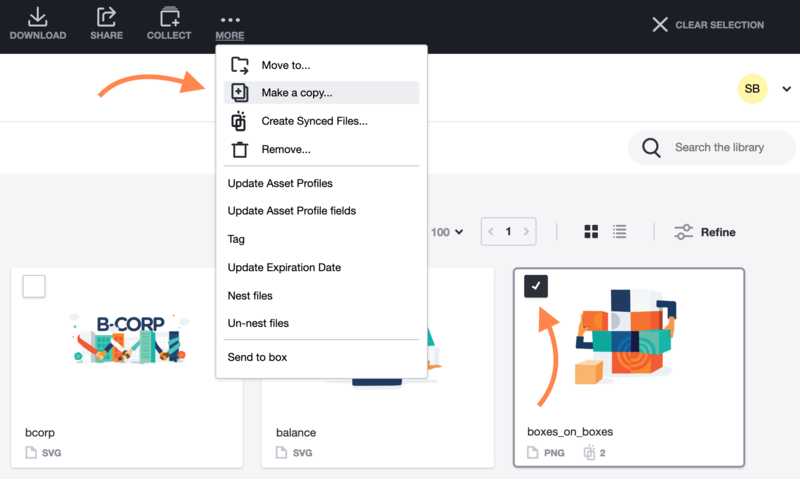 You will have the option to carry over previously created metadata if you desire. If you would like to create a synced file, which is a single file living in multiple folders, please view this article. 1. Find the file you'd like to create a copy and click the check mark. 2. Open the 3-dot menu, and click Copy option. 3. From the Copy modal, select the destination folder you want to put the copies in. 4. Click the Copy button to put a copy of the file in the selected destination folder. 1. Make your selection of files using the checkbox on each thumbnail. 4. From the Copy modal, select the destination folder you want to put the copies in. 5. Click the Copy button to put a copy of the files in the selected destination folder.